Houses in Terreiro consist of three dwelling houses ("Casa do Forno", "Grandmother's House" and "House of Aunt"), a house that serves as reception and exhibition / selling local crafts and surrounding outer space completely fenced by stone walls of the mountain. It offers a communal entrance to the spacious outdoor area in the mountain stone sidewalk, but each house is independent having individual entries. This group of houses were once two dwelling houses with over 100 years of construction in stone and wood saw, barns where farm implements used in the cultivation of the fields and the products themselves from subsistence agriculture were saved. Also surrounded in the same pens that housed the livestock. All buildings were rebuilt using stone from the mountains and chestnut wood, are on site. In its rehabilitation tried to respect the most of your features, keeping as much as possible the old building but adding a high level of comfort and combining a touch of modernity. Inside and outside of all households can also enjoy various curios (largely subject to recovery), which transport us to old days and bring us memories of times already lived. The houses are surrounded by a sufficient green surroundings, where you can enjoy the best of what nature has to offer us, being feasible enjoy the sunrise and sunset on the horizon, the tranquility and clean air, the sounds of nature. 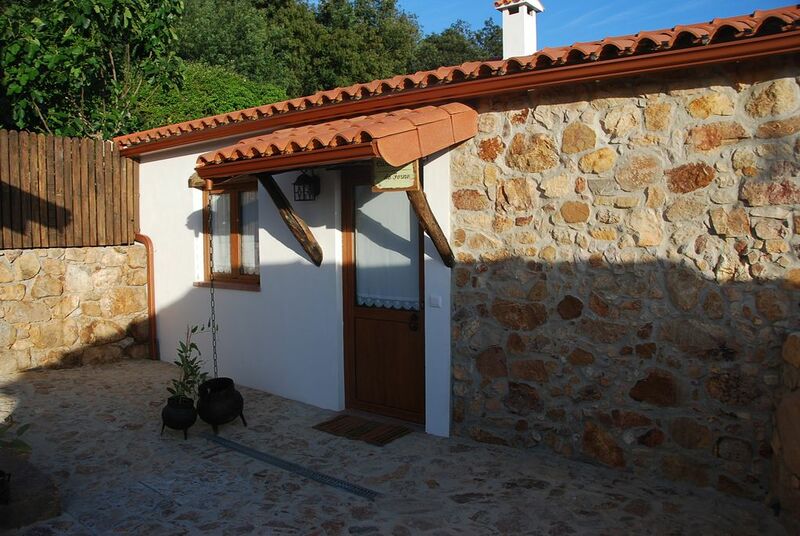 Houses in Terreiro, are located in a small village called Felgar, located in the parish and Penacova county. They have good road access. Cramped conditions the county seat about 6 km and seat of the neighboring county (Vila Nova de Poiares) about 4 km. The nearest town is Coimbra, located about 25 km. They are equipped with safety systems (alarm, video surveillance and fire detection) as well as fire-fighting means. They are also equipped with internet. Tradiconal have heating systems (stove and salamanders).